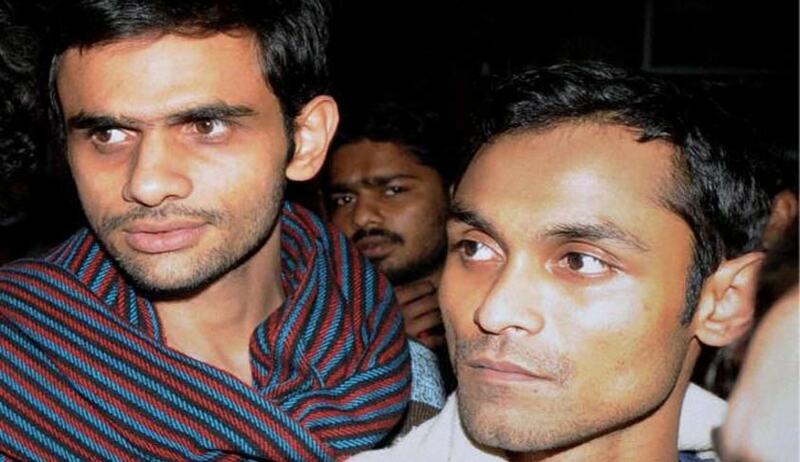 The Delhi High Court on Friday reportedly put on hold the disciplinary action taken by the Jawaharlal Nehru administration against its students Umar Khalid and Anirban Bhattacharya, till their appeals are decided by the University’s Appellate Authority. The two students have been accused of sedition in connection with an event organized in JNU against the hanging of Parliament attack convict Afzal Guru. During the hearing, Justice Manmohan clarified that if the appeals of the students are rejected, the appellate authority’s order would not be given effect for a period of two weeks. It was further ruled that the protection granted to the two students was conditional and that the Jawaharlal Nehru University Students Union (JNUSU) should not indulge in any protest or ‘dharna’. The two students had demanded the relief that was given on May 13 to JNUSU President Kanhaiya Kumar and others. They had stated in their application that they would be approaching the Appellate Authority against the disciplinary action taken by JNU on the basis of recommendations of a high level enquiry committee (HLEC). The applications were filed in their petitions which were filed on May 9. During the hearing on May 10, JNU had agreed before the Court to extend the date of deposit of fine by Mr. Khalid to May 30. Mr. Khalid was rusticated for one semester and a fine of Rs. 20,000 slapped on him. Mr. Bhattacharya was rusticated till July 15 and was given a week till July 22 to complete his thesis. After July 23 he was barred from the University Campus for five years.